Nov ’17: Mary sings in the “Joyful Noise” Cabaret at the Duplex, 61 Christopher Street at 7th Avenue, Tuesday, November 12 at 4:30pm and Thursday, November 14 at 7pm, Tickets here: www.purplepass.com/joyful1112. Teresa Fischer, Jenny Greeman and Mary Sheridan sing Broadway, American standards, and contemporary melodies about life, love and finding joy. $15 Ticket in Advance & a 2 Drink Minimum in the Cabaret Theatre $20 Ticket at the Door (plus service fee) & a 2 Drink Minimum in the Cabaret Theatre. June/July ‘17: Mary reprises her role of Ma’am in “Emerson at Bigmart” by Hope Weiner& directed by Adam Chisnall at the Planet Connections Theater Festivity, http://planetconnections.org/. December 16 at 7pm: Mary performs in the Sage Holiday Benefit at Sage Theater, 7th Avenue. 6/1 at 7pm, Mary performs as Marta in a staged reading of “She Has a Name” by Andrew Kooman at 300 W. 43 Street, 5TH Floor: http://www.rippleeffectartists.com/#/a>! April ’15: 4/2, Mary performs in “A Strange Serenade” by Mim Granahan with Eliel Lucero in Blue Box Production’s Sticky at Beauty Bar Brooklyn, 249 5th Ave.
4/18 & 19, Mary stars in the staged reading of “Ismene: Antigone’s Sister” at the Medicine Show Theater, 549W. 52 Street, 3rd Floor. October 2014: 10/8-11, Mary performs in “The Birds and the Bees” directed by Maggie Keenan-Bolger and Rachel Sullivan at University Settlement House, 184 Eldridge Street. April 2014: 4/11- 14, Mary plays Emilia in the Dark Lady Players production of “Writing Othello” at the New Perspectives Theatre Co, 456 W. 37 Street, NewPerspectivesTheatre.org. August 2013: Mary participates in LaMama Umbria (in Spoleto, Italy) Visiting Artist Residency taking workshops with Kristin Linklater, Paul Binnerts and Nancy Gabor. May 2013: 5/19 at 3pm, Mary plays Cathleen, the Irish maid, in Eugene O’Neil’s “Long Day’s Journey Into Night” at Liz Hodes NYC Murray Hill theatre. 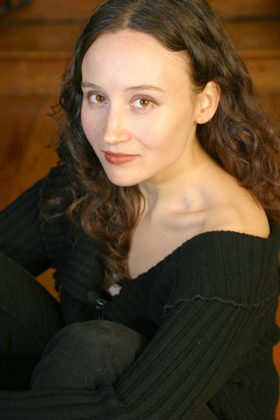 April 2013: Throughout April, Mary plays Alma in “The Golem” at different New York Public Libraries through Urban Stages. – 4/14 at 3pm, Mary plays Ann Deever in Arthur Millers “All My Sons” at Liz Hodes NYC Murray Hill theatre. January 2013: Mary performs the role of Alexandra in Lillian Hellman’s “The Little Foxes” on 1/27 at 3pm at Liz Hodge’s midtown NYC theatre space. May 2012: 5/18 at 7pm: Mary performs the role of Sophie in a reading of a scene from Penny Jackson’s “Hotel Hera” at Primary Stages, 307 West 38 Street, Suite 1510. Mary sings with the WVC, Sat, May 19, 8pm at Judson Memorial Church, 55 Washington Square South. Mary performs in “The Golem” (presented by Urban Stages) at various NYC Public Libraries throughout the month. January 2012: 1/22 at 4pm, Mary performs in the West Village Chorales winter concert: http://westvillagechorale.org/. 1/26 Mary performs the role of Jeannette in reading of Neil Simon’s “The Last of the Red Hot Lovers” at the St. Charles Jubilee Senior Center in Brooklyn Heights. December 2011: 12/4 at 3pm, Mary performs in a staged reading of Penny Jackson’s “All Alices” at Stage Left Studios, 214 W. 30 Street. 10/8 at 1pm, Mary performs Cressida in an Instant Shakespeare Company reading of “Troilus and Cressida” at the Epiphany Library, 228 E. 23 Street. June 2011: Mary performs in the Ellis Island Living Theatre at Ellis Island! May 2011: 5/20, Mary performs in an encore performance of “Don’t Talk So Loud” by Libby Emmons for Sticky! at Bowery Poetry Club (308 Bowery) at 7:30pm produced by Blue Box Productions. 5/14, Mary sings (and has a solo!) in the West Village Chorale spring concert of international folk songs at Judson Memorial Church (55 Washington Square South) at 8pm. April 2011: 4/4, Mary performs the role of Melissa in a staged reading of “Funs and Games” by Joshua H. Cohen (recipient of the 2011 American Theatre Wing Jonathan Larson Grant), produced by the Oberon Theatre Ensemble at 7pm at 3 W. 51 Street, 5th Floor. 4/1 through 4/11, Mary performs the lead role of Alma in a children’s theatre production of “The Golem” by Stanton Wood produced by Urban Stages at various NYC Public Libraries. March 2011: 3/11, Mary sings at the Lamb’s Club dinner for the Annual “Irish Songs” night. January ’09: Mary freelances with the Garber Agency. December ’08: Mary performs the role of Denise Savage in John Patrick Shanley’s “Savage in Limbo” with the Flying Swine Theatre Company, Dec. 11 – 21. July ’08: Midtown International Theatre Festival presents a staged reading of a “Raggedy Ann and Andy” new musical for families; (Mary is cast as Raggedy Ann); July 28 at 3:30pm & July 29 at 12:30pm at the Abingdon Theatre; 312 W. 36th Street. June ’08: Blue Box Productions presents Sticky: (“perfect short attention span theater…” The New York Times); Friday June 13th, 7-9 pm at Bowery Poetry Club, 308 Bowery Street (Between Houston and Bleecker); $8 at the door. April ’08: “Schooled and Unschooled” 4/11 & 12 @ 8pm, Dixon Place, 258 Bowery, 2nd Floor; 4/23 @7pm & 4/26 @ 10pm, West End Theatre, corner of West End Avenue and 86 Street on Upperwest Side. “Solo Show Showcase” 4/30 @ 7pm, Where Eagles Dare Studios, 357 W. 36th Street, 13th Floor, “Blackbird” theatre.